Garrett is a managing director of Antares Capital. 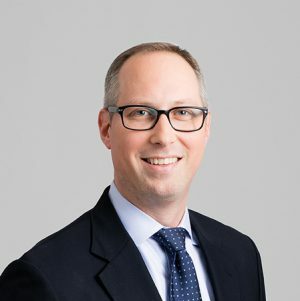 Garrett works within the capital markets group, structuring and syndicating senior debt financings for private equity backed companies representing a diverse group of industries. Prior to Antares, Garrett was with GE Antares since 2007, and earlier in his career he worked for BNY Capital Markets, a subsidiary of The Bank of New York. Garrett received a bachelor’s degree in applied economics and management from Cornell University.